In certain scientific disciplines, objects or elements can be difficult to see. This is especially true in chemistry, where careful analysis must be done to know what a chemical mixture contains, and in astronomy, where celestial objects can be so far away, they are practically invisible. In both of these disciplines, scientists employ special equipment to help them analyze or "see" things that the human eye could not detect on its own. One such piece of equipment is the UV-VIS spectrometer. This device measures light in the ultraviolet spectrum, beyond what the human eye can see. UV-VIS spectrometers are used mainly in astronomy and chemistry. These devices measure the wavelengths of light emitted by or reflected off matter. By looking at the readings from UV-VIS spectrometers, scientists can determine what elements make up various substances. UV-VIS spectrometers are simple to use and give accurate readings. However, preparing to use one takes a lot of time and effort because outside light or small vibrations can interfere with the readings. What Is a UV-VIS Spectrometer? Just as the human ear can only hear certain frequencies of sound, the human eye can only see certain kinds of light. The light we can see is referred to as the visible spectrum of light. Beyond the visible spectrum of light is infrared light and ultraviolet light. Although these two kinds of light cannot be seen directly by the human eye, certain devices can detect them. UV-VIS spectrometers measure light in both the visible spectrum and the ultraviolet spectrum. Elements make up all matter on earth. These elements reflect wavelengths of light. Different wavelengths of light appear to the human eye as different colors. For the wavelengths we can't see, such as ultraviolet wavelengths, a UV-VIS spectrometer can be used to measure the wavelengths reflected off of or emitted by matter. In astronomy, UV-VIS spectrometers can be attached to telescopes. By measuring the wavelengths of light emitted by celestial objects, we can determine which elements make up those objects. This is how humans discovered the kinds of elements that make up our sun, other stars, and planets in our solar system and beyond. In chemistry, UV-VIS spectrometers shine light onto samples and measure the reflected light. The wavelengths in the reflected light give chemists an accurate reading of which elements make up the sample. The biggest advantage for chemists and astronomers who use UV-VIS spectrometers is the accuracy of the device. Even small UV-VIS spectrometers can give extremely accurate readings, which is crucial when you are preparing chemical solutions or recording the movement of celestial bodies. UV-VIS spectrometers are easy to use. Most UV-VIS spectrometers used in astronomy attach to telescopes. Most of the ones used in chemistry are comparable in size to electron microscopes and require the same basic skills to use. Because they are simple to operate, there is little chance of a UV-VIS spectrometer being used improperly. The main disadvantage of using a UV-VIS spectrometer is the time it takes to prepare to use one. With UV-VIS spectrometers, setup is key. You must clear the area of any outside light, electronic noise, or other outside contaminants that could interfere with the spectrometer's reading. If the space has been properly prepared ahead of time, UV-VIS spectrometers are simple to use and give accurate results. 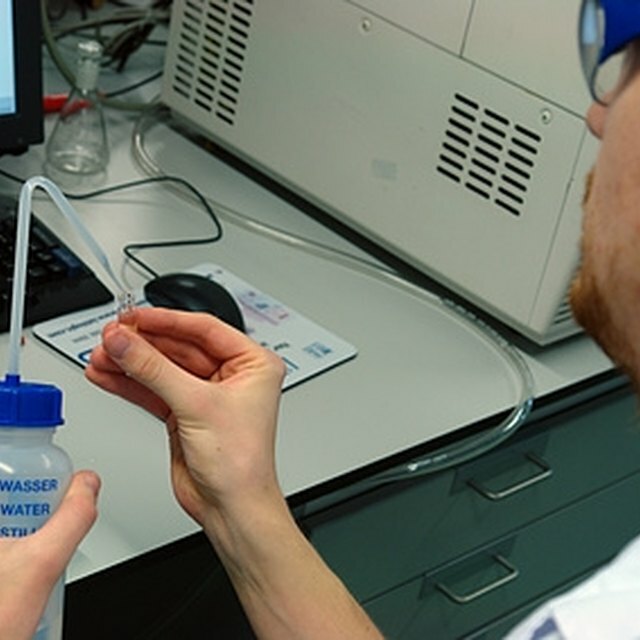 However, if the space has not been properly prepared, even a small bit of outside light or vibration from a small electronic device could interfere with the results you are hoping to achieve in using a UV-VIS spectrometer. ACTTR: What Are the Advantages and Disadvantages of a UV-VIS Spectrophotometer? How Can Astronomers Tell What a Distant Object's Temperature Is? Why Is it Important to Be Familiar With Laboratory Apparatus & Their Uses? Cook, Maria. "Advantages & Disadvantages of a UV-VIS Spectrometer." Sciencing, https://sciencing.com/advantages-disadvantages-uvvis-spectrometer-6466475.html. 29 April 2018.